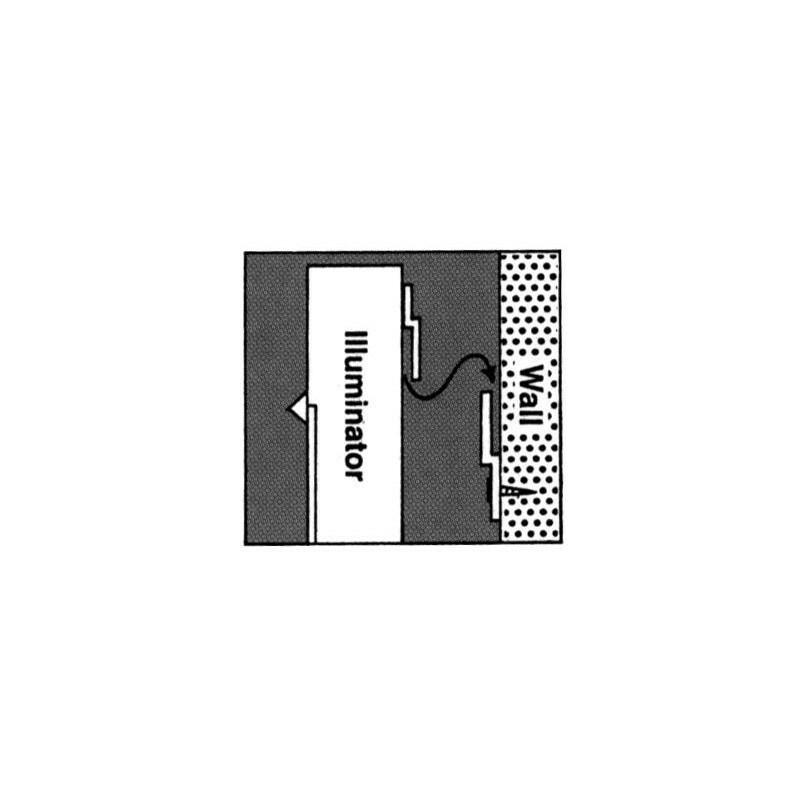 Trimline Plus Hi-Lo Illuminator, 2 Over 2, Wall Mount - Radiation Products Design, Inc. 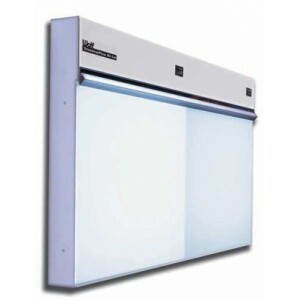 The Trimline Plus Hi-Lo™ provides two light intensities per each 14" x 17" (35.7 x 43.3 cm) viewing area. Uniquely at the lower light intensity, all 4 bulbs remain lit to maintain the even light distribution. The Trimline Plus Hi-Lo™ is available in 12 sizes. 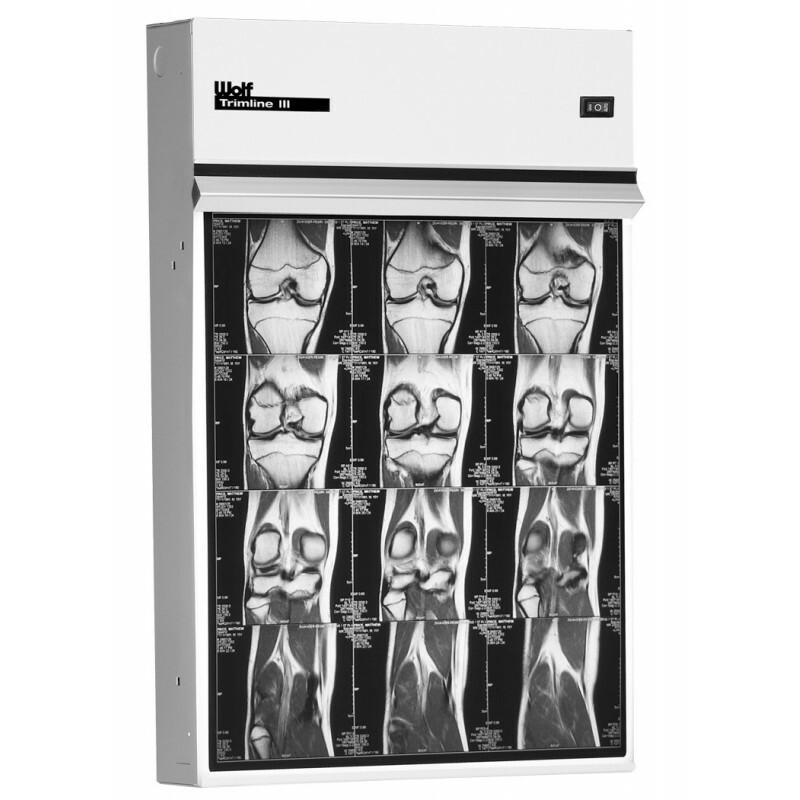 It features a sleek 3.25" (8.3 cm) deep cabinet with a baked on white finish, a roller grip film retainer, an 8' (2.4 m) power cord with hospital grade plug, film activated auto switches. Cluster switches on 2 over 2 units and up. 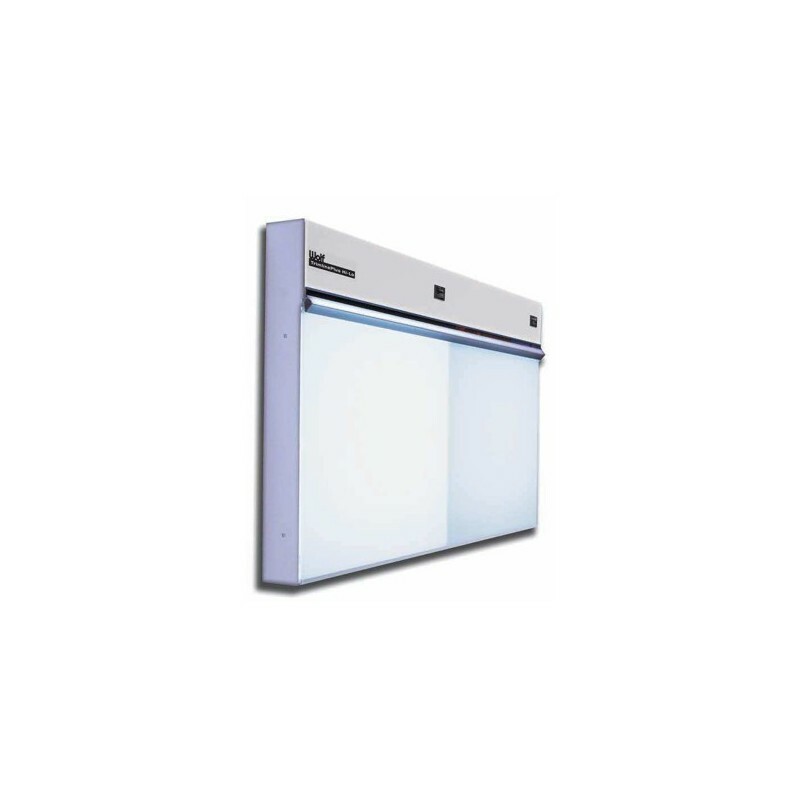 Recessed wall mounting is available and includes a frame.